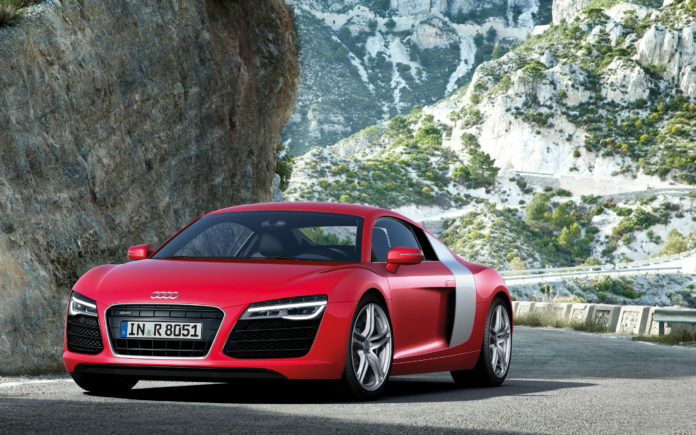 Audi R8 Spyder – the most exciting Audi? The job of the Audi R8 Spyder is fairly simple: to combine wind-in-the-hair glamour with the R8 coupe’s pin-sharp handling and a tolerable ride quality. That’s no easy task and has involved reinforcing the R8 with thicker aluminum sills and windscreen supports and a much-modified rear bulkhead to accommodate the 44kg roof mechanism. As a result, the Spyder weighs 125kg more than the R8 coupé, despite its carbon-fiber engine cover and a fuel tank that holds three liters less. The result might look like a larger TT roadster but is, in fact, a true supercar in every sense of the word, able to compete with the best that Porsche, Ferrari, McLaren, and Lamborghini have to offer. The R8 Spyder’s mid-engined layout means that the boot actually sits in the nose of the car. It’s about the same size as you get in the Porsche 911 Turbo Convertible (so sufficient for a small case, but not much else), but where the R8 Spyder loses out is that it doesn’t have any rear seats. There’s not a lot of storage space inside the car, either, with the door pockets, glovebox and cubby holes all on the small side. The Spyder version of the R8 also loses out on a bit of leg room to the coupe, so taller drivers might end up feeling a bit squashed. Not so very long ago, mid-engined supercars were all about raw thrills rather than cossetting you on a long journey. What’s so impressive about the R8 is that it can do both – and do them brilliantly, too. As with the coupe, you can add optional magnetic dampers to the R8 Spyder’s standard specification, which can switch from a genuinely compliant ride in their comfort setting to a full-on track car experience in their firmest, “dynamic” mode. With the roof up the Spyder is pretty much as quiet as the coupe in terms of wind noise, but you do get a drone from the tyres on some roads. Lowering that roof (or the even just the small rear window) though gives you access to some of the most exciting engine sounds on sale. The seats are also supportive, and if you’re cruising gently the standard automatic gearbox changes between ratios seamlessly. Everything about the R8’s dashboard feels slick and well-made, and it looks great, too, with beautifully-designed air-conditioning controls that hang down from a slim ledge of a dashboard. The R8 also gets Audi’s new virtual cockpit, which replaces the instruments with a huge screen, positioned behind the steering wheel. This can be cycled through several view options, giving you a beautifully crisp satnav display, trip computer and audio system information, or larger dials with lots of information about the car’s essential systems. The downside of this arrangement in the R8 is that you don’t get a central information display, and that means your passenger can’t easily operate the stereo. All is not entirely perfect in the R8, though. There are a lot of buttons on the steering wheel to get to grips with, and it’s a shame the R8 has plastic gearshift paddles, which feel cheap and nasty. A car of this price should really have proper aluminium shifters. Yes, it’s wide, but rear visibility via the wing mirrors is good. And yes, the performance is explosive, but the controls are beautifully progressive. In short, for a car as extreme as the R8, Audi has done a fine job of removing as much of the intimidation factor as possible. For example, all models come with rear parking sensors, and you can specify a reversing camera too. At town speeds the steering is light and direct, and the automatic gearbox means that all you really need to do is point and go. Compared with mid-engined supercars of old, such as the Lamborghini Diablo, it’s a breeze. Unless you drove them back-to-back along a very demanding road, you’d be hard pushed to tell the differences between the R8 coupe and this Spyder version – and that’s a very good thing indeed. And if the Spyder does perhaps lack a modicum of the coupe’s precision, it more than makes up for it with the added sonic sensations that are provided when you lower the roof. With the engine yowling in approval, a flat-out R8 Spyder is one of the most exciting driving experiences around, and the more you increase the pace the greater your respect of the car becomes. The quick, linear and predictable steering allows you to place the car perfectly, and when you put the gearbox into its manual mode it changes faithfully whenever you pull a paddle. The four-wheel-drive system offers lots of grip but not at the expense of an adjustable chassis, giving the R8 the best of both worlds. In short, it’s a sensational car to drive. You’ll also get a lesser warranty with your R8 than you will with the equivalent McLaren or Porsche. All come with three years’ worth of cover, but Audi’s is limited to 60,000 miles, whereas the others are unlimited by mileage. The Lamborghini Huracan, meanwhile, gets a four-year, unlimited-mileage warranty, which really puts the R8 in the shade. It doesn’t matter which rival you look to – the R8 Spyder can’t match up to any of them in terms of its fuel consumption. That’s partly because of its V10 engine which, on paper at least, isn’t as fuel efficient as the turbocharged and supercharged power units of its rivals. That said, the R8 isn’t far behind, being within a few mpg of most of its rivals on the combined cycle. In fact, the only similarly fast cars which really make it look thirsty are the Porsche 911 Turbo models, which are quite a bit more efficient. 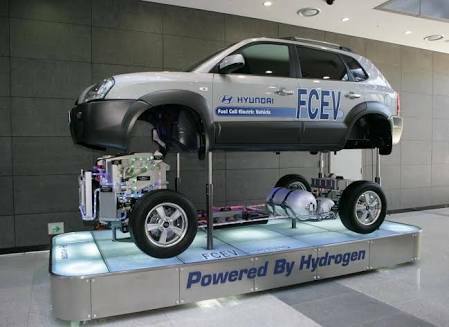 In short, you can expect something like 20-22mpg in normal driving. The Audi R8’s excellent brakes, combined with standard four-wheel drive and plenty of electronic assistance systems that keep you heading the way you want and prevent you from skidding, should make it easy to stop and prevent an accident. Should the worst happen, though, the R8 features side, head and front airbags that will help to protect you from the worst of the crash? The R8 doesn’t come with a system to predict head-on crashes and apply the brakes for you – but as none of its rivals come with such a system, it isn’t notable for its absence. That said, many cheaper cars come with this sort of system fitted, and it’s a worthwhile bit of safety kit, so it’s a real shame Audi didn’t break the mould and add it to the R8 Spyder’s standard specification. 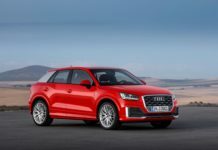 Audi Q2 – Best compact SUV in the market? 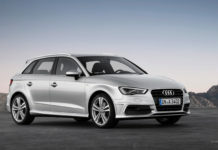 Audi A3 – Can it replace Volkswagen Golf? 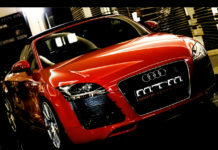 Audi Q3 – Does it drive as sleek as it looks? The Audi A4 – Does it beat the predecessor?